What’s fresh and sassy and always looks good? Apart from the 52 Cocktails crew, that is? I’ll give you a clue: they’re in the photo above. 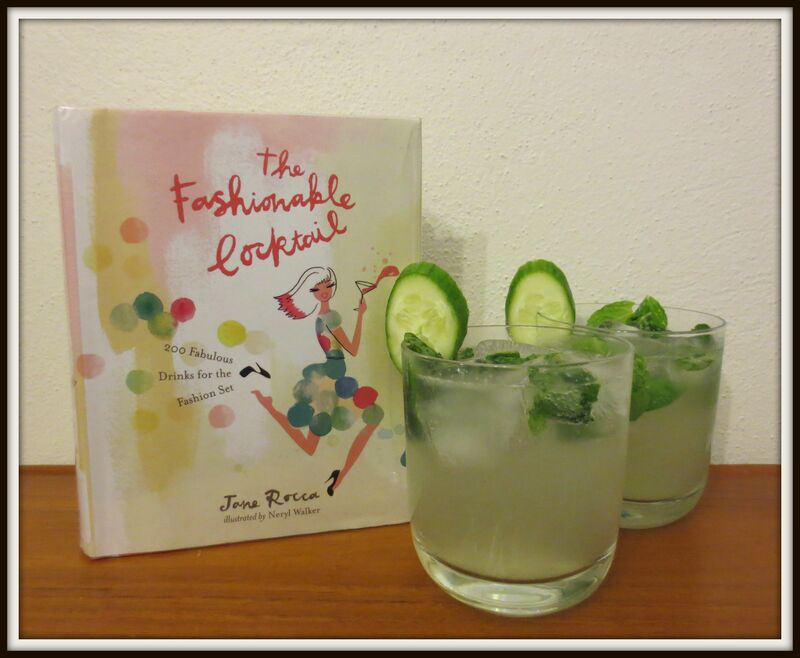 Yep, it’s The Fashionable Cocktail by Jane Rocca (Hardie Grant Books 2013), which contains the recipe for the mighty fine Hendrick’s Mojito. Gorgeously illustrated by Neryl Walker, this little tome is tres chic, dahling, and features a mix of new cocktails and updated classics. In my ongoing bid to convert some gin-hating friends into liking the sacred spirit (I know, I know, how are we even friends, right? ), I hit em with the Hendrick’s Mojito and they loved it. You will too. This is a refreshing, moreish drink, the kind that’s all too easy to knock back. Hendrick’s gin is made with cucumber and rose petals, giving it a softer flavour than other gin, and the cucumber flavour plays nicely with the mint in this drink. The original recipe calls for a Collins glass but I used rocks glasses to avoid diluting all the dee-lish flavours too much. Go with whatever version you think you’ll like best. Muddle the lime half and about 10 mint leaves in the base of the glass. Don’t be too rough; you want to release the flavour, not pound them into oblivion. Add enough ice to fill the glass at least halfway. Add the Hendrick’s, lime juice and sugar syrup and stir. Top with soda. Garnish with a cucumber slice if you wish. The hardest thing about making this drink is trying to resist making another 10 or so and devouring them all. This recipe appears in The Fashionable Cocktail by Jane Rocca (Hardie Grant Books 2013).